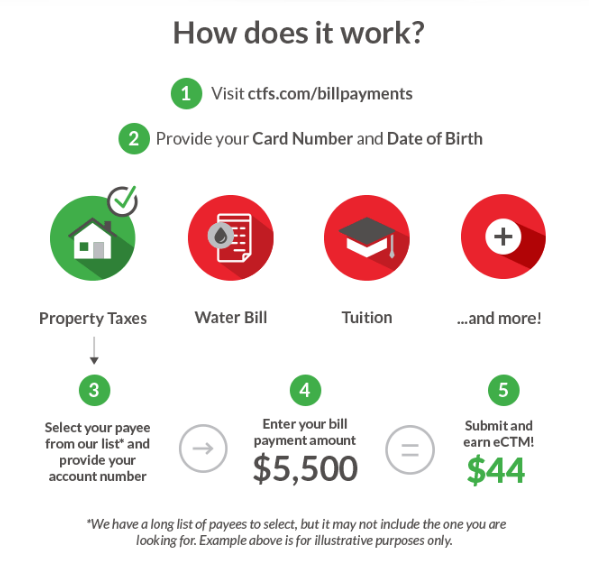 In case you have not known it, you actually can pay your bills online using Canadian Tire Options MasterCard and still be able to earn Canadian Tire Money on the card just like a purchase. You can use CT credit card to pay bills that normally refuse credit card, like property tax, water/power bill, university tuition and more! You don't need to pay any fees for that, and you can get around 0.8% Canadian Tire Money back from the payments (vs. 0% with other types of payments). Note: As Canadian Tire mentioned, they have a long list of payees to select, but it may not include the one you are looking for. You can get Fido Mobile Internet Flex Data Starting at $15 for 3GB instead of 1GB before Sep 30, 2016. You can get it from Fido Store or by calling Fido support anywhere in Canada. This offer is valid for new activation / plan change / BYOD. This is Internet plan only ( no Voice / text included). Pay your friends back with PayPal by October 21st for the chance to win $10,000 every time you transfer. PayPal is also giving away five weekly prizes of $1,000. Send money by October 21st from anywhere. Send money again! The more times you send, the better your chances to win. Note: There are no PayPal fees when you send money to friends within Canada using your linked bank account or PayPal balance. So, the more banking with BMO, the higher chance for you to be one of the lucky winners. Plastiq is a third-party service provider that offers additional payment methods, including credit cards. You can link your credit card to your Plastiq account and get credit card rewards through Plastiq payment. Normally, Plastiq charges a fee of 1.99-2.5% for this service. Schedule 6 or more payments, as far into the future as you’d like. Make sure those payments are for rent or mortgage. Do it before September 30, 2016, 11:59 p.m. PT. If you're earning 2% or more on your MasterCard, you can get rewards for payments you're making anyway with this promotion. It can also help you meeting minimum spending limit for a welcome bonus for certain cards. After you register with Plastiq, you will get your own referral link. Share your referral link with friends via email, social networks, and anywhere else you can think of. Get rewarded in return for every person who registers with Plastiq via your referral link and makes a payment of at least $20. For each awesome referral, you will be able to send $400 through Plastiq without any fees ("Fee-Free Dollars). And that person will get 200 FFDs. 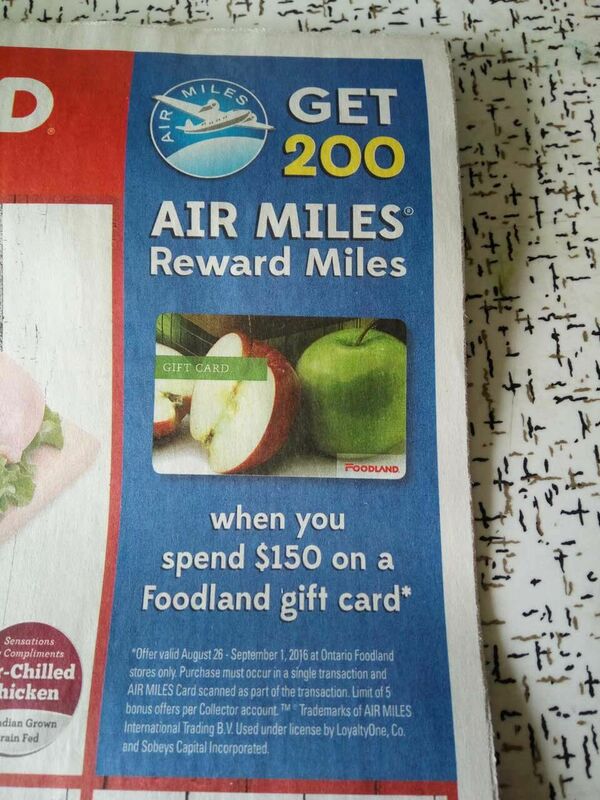 You can get 200 Air Miles rewards miles when you spend $150 on a Foodland Gift card between Aug 26 and Sep 1, 2016. It is almost like FREE 200 Air Miles (value > $20). Note: purchase must occur in a single transaction and Air Miles Card scanned as part of the transaction. Limit of 5 bonus offers per Collector account. Choice Hotels members must book trips via ChoiceHotels.com, the Choice Hotels mobile app, or 800.4CHOICE at qualifying rates. Choice Privileges member number must be provided upon check-in. After a second qualifying trip with arrival between 09/01/16 and 11/11/16, members will be awarded a minimum of 5,000 and a maximum of 8,000 bonus points, depending on the number of base points earned from the two (2) separate qualifying trips. These bonus points will allow redemption for a free night at the 8,000 reward night level at over 1,500 hotels. Free night is based on an 8,000 point Choice Privileges reward night level. Note: Online registration is required. To be eligible to earn the bonus, members must set their earning preference to Choice Privileges points in their online account. Any change made to earning preference will remain in effect after the promotion has ended. This offer is for residents of the U.S. and Canada only. Play the SPG Open More game for your chance to instantly win 1,000, 5,000 or 10,000 Starpoints or 1 Free Night Award. Plus, you’ll be entered to win the grand prize: 5 Free Night Awards and 50,000 Starpoints. You can try this once daily until Sep 12, 2016. Note: While supplies last. 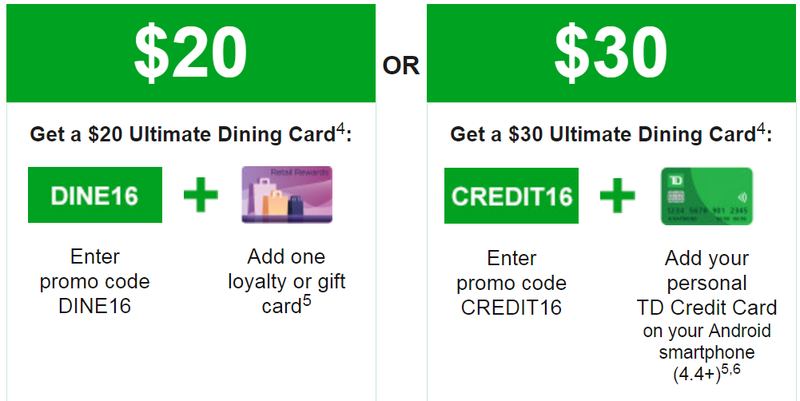 Offer available to new UGO Wallet customers only, and customers can qualify for only one $20 Ultimate Dining Card or one $30 Ultimate Dining Card. Note: The Bonus is offered by Desjardins to members of a Desjardins caisse in Quebec and Ontario ONLY. Desjardins may modify the terms and conditions, and change or cancel the Bonus at any time. If you apply for National Bank World Elite MasterCard before Oct 31, and activate it before Nov 30, you can get up to 30000 points welcome bonus (travel value $300). Basically, the point value will decrease around 9% after Nov 1. From my point of view, even with this new rewards chart, this National Bank WEMC is still a good card considering the "Smart Traveller" refund each year (up to $250). SCENE members who make a qualifying purchase of any pair of jeans from marks.com or any Mark’s retail location in Canada before Sep 19 will receive a PIN card worth 500 bonus SCENE points. Maximum of four SCENE PIN code redemptions per SCENE member. Note: PIN codes must be entered online at scene.ca/marks on or before October 3, 2016. Offer valid until 08/31/16. Aeroplan Bonus Miles offer is only available to new energy customers in Alberta. Customer will receive a total of 15,000 Miles. Bonus Miles will be credited to your account within 30 days of active service with Direct Energy. Credit Karma is headed north! Credit Karma is a free credit and financial management platform for US consumers available on the web and major mobile platforms. Founded in 2007, it provides free weekly updated credit scores and credit reports from national credit bureaus TransUnion and Equifax, alongside daily credit monitoring from TransUnion for US people. Now, Credit Karma is headed north. Once it launched, we can enjoy free credit score and report from Credit Karma. Sounds pretty good, right? Note: Credit Karma won't be in Quebec, the Northwest Territories, Nunavut or Yukon just yet. Just got a notification from EQ Bank that their Savings Plus Account Annual Interest Rate will decrease from 2.25% to 2.0% on Aug 25, 2016. 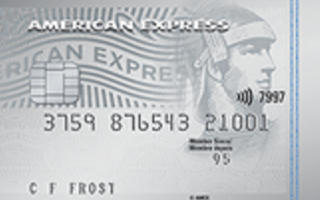 There is a new card from AmEx: AmEx Essential Credit Card. It has no annual fee but also no cash back from purchase. You can enjoy a low 8.99% interest rate on purchases and cash advances. It can also provide Purchase Protection, Extended Warranty and Travel Accident Insurance. If you choose to transfer your other credit card balances to this American Express card, you can get a even lower rate 1.99% for the first 6 months. Balance Transfer option is only available at time of online application. You can transfer 50% of your assigned credit limit, up to a maximum of $7,500, whichever is less (Subject to approval). There are some rules on the interest rates. For the first 6 months, the 1.99% rate will increase 8.99% if you have 1 Missed Payment. After the first 6 months, the interest rate will increase to the Standard Rate of 23.99% for the next 12 billing periods if in any 12 month period you have 2 separate Missed Payments. Interest rate will increase to the Basic Rate of 26.99% for the next 12 billing periods if in any 12 month period you have 1 Missed Payment that remains unpaid for 2 or more consecutive billing periods or if you have 3 or more separate Missed Payments. “Missed Payment” means AmEx did not receive the minimum monthly payment by the date of the next billing statement. I should say that this is a OK credit card if you want to use the 1.99% special rate in the first 6 months. Overall, this card is not attractive to me. When you use your Canadian Tire Options MasterCard before Nov ​05, ​2016, you can collect 4X e-Canadian Tire 'Money', that's 1.6% cash back, (up to a maximum of $50) on everyday purchases outside of Canadian Tire, Mark's, Sport Chek, PartSource or Canadian Tire gas bars. That's DOUBLE the 2X the e-Canadian Tire 'Money' you usually collect when you pay for things like groceries, dining out, airfare and more with your Canadian Tire Options MasterCard. 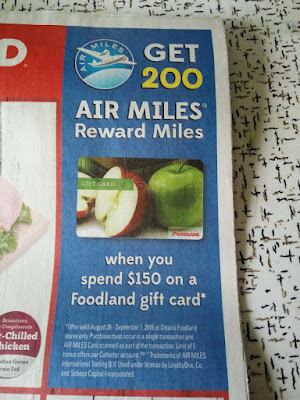 This offer is targeted (only the people who receive Canadian Tire email can take the benefit). Please visit the Canadian Points University website for more information and ticket price. BTW, you can also use our promo code "CanadianRewards" and get $40 off the regular price! Send in proof of top tier status in another airline’s frequent flyer program, or travel rewards program, before September 23, 2016. Be sure to include: Your first and last name; Your 9-digit WestJet Rewards ID (If you're not already a member you can join now); A photo or scanned copy of your membership card in another airline's frequent flyer program or travel rewards program 【Hotel Rewards Programs / Car Rental Rewards Programs are included】showing your name, top-tier status and valid dates. 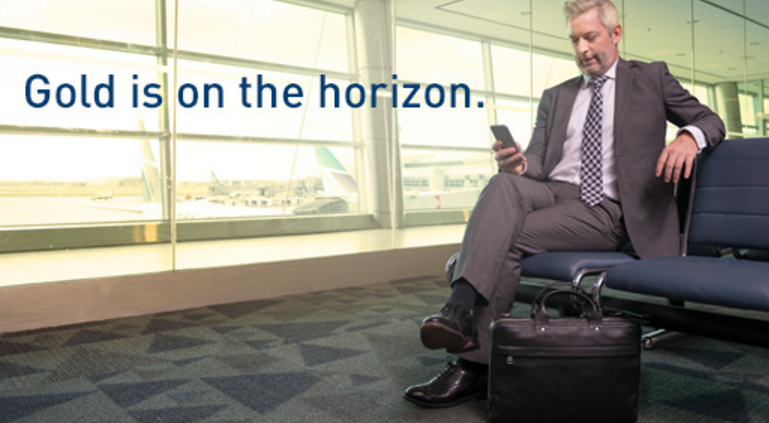 Take at least one WestJet flight between now and October 31, 2016 and you’ll get WestJet Gold Status through December 2017. Note: The request to participate with proof of status must be submitted a minimum of 10 days prior to flight date. All required information must be provided or the submission will be deemed to be incomplete. Screenshots showing account information or submissions of any other kind will not be accepted. Once a request to participate has been received, the information will be verified by WestJet within 10 days and, if deemed to be complete, accurate and eligible, the member will be registered as conditionally eligible to receive Gold flight benefits, pending satisfaction of the minimum flight requirement. Gold flight benefits will not be awarded without meeting the flight requirement set out. You can get 30% off at Reitmans, Addition Elle and RW&CO, if you use Paypal and enter the code PAYPAL30 during checkout process. Note: Not applicable to the purchase of gift cards, previously-purchased merchandise. Discount will be applied online after applicable discounts, but before taxes, shipping and handling. Orders submitted without coupon code will be processed without applicable discount. Only one coupon code may be used per order. Coupon has no cash or surrender value. Offer cannot be combined with another offer or coupon promotion. Additional restrictions may apply. Limited time offer. 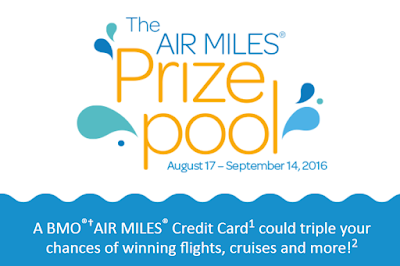 Air Miles will offer AIR MILES Prize Pool between August 17 and September 14, 2016. This Contest is open only to Canadian resident AIR MILES Collectors who are at least 16 years of age as of August 17, 2016 except employees, representatives and agents of the Contest Sponsor, its affiliates and their respective advertising and marketing agencies, contest administrators, judges, and persons domiciled with any of the above. 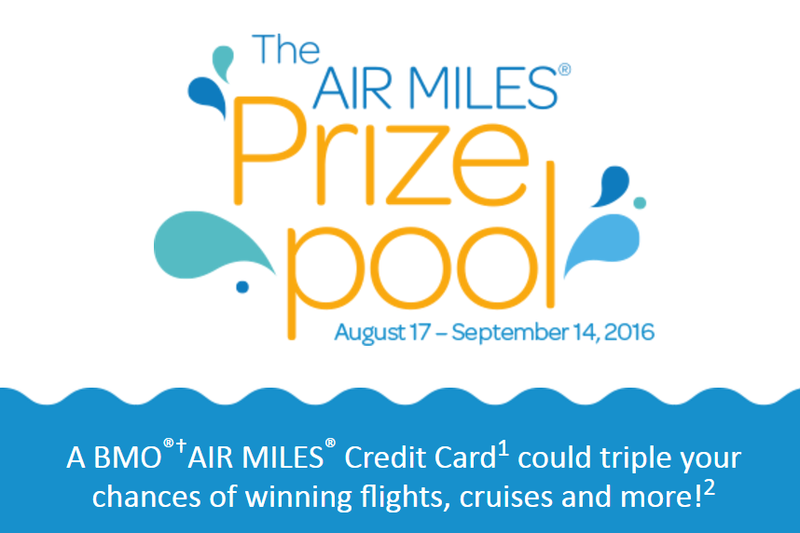 Part one (1) of the Contest is the AIR MILES Prize Pool for a chance to win one (1) of one-hundred and twenty-nine (129) Prizes and part two (2) of the Contest includes one weekly AIR MILES Multiplier instant play for two (2) entries into the AIR MILES Prize Pool Contest and a chance to win up to a 10x AIR MILES Multiplier Offer that you can use with an AIR MILES Prize Pool Contest Bonus Offer during the Contest Period. These Rules apply to both parts of the Contest, as applicable. Contest Period: The Contest begins at 12:00:01 a.m. on August 17, 2016 and ends at 11:59:59 p.m. on September 14, 2016. All times refer to Eastern Time ("ET") throughout the Contest. i. You will automatically receive one (1) entry each time you use (and fulfill) an "AIR MILES Prize Pool" Bonus Offer coupon featured online at www.airmiles.ca/prizepool (collectively "Bonus Offers") during the Contest Period. Bonus Offers may also be made available by AIR MILES Partners in print. You will receive one (1) entry per Bonus Offer used regardless of the number of Miles earned. Presentation of the Bonus Offer paper coupon is not required in all cases. You will be subject to the terms and conditions of the Bonus Offers as set out in each individual Bonus Offer. ii. Use your participating AIR MILES Partner Credit Card (described below) two times or more for any eligible purchase (described below in respect of your AIR MILES Credit Card) during the Contest Period and which is posted to your AIR MILES Partner Credit Card account within six (6) business days after the close of the Contest Period (an "Eligible Purchase"), you will automatically receive two (2) additional entries for each Bonus Offer you have used and fulfilled during the Contest Period. You will receive two (2) additional entries for each Bonus Offer used and fulfilled during the Contest Period, regardless of the number of Eligible Purchases you have made, provided that you have made at least two Eligible Purchases. To enter the Contest without a purchase, during the Contest Period you can hand-print your name as printed on your Collector Card, your Collector Number, complete mailing address, email address (if you have one) and telephone number on a plain piece of paper and mail the entry in a postage-paid/stamped envelope to the following address: "AIR MILES Prize Pool Contest", Dept. 3461, BOX 9500 Lakeshore West PO, Oakville, ON, LK 0G4. Each mailed entry must be in a separate postage-paid envelope. Any mailed entry that does not comply with the criteria detailed herein, is opened, mutilated, altered, copied, or in any way illegible will be void. Each mailed entry will be treated as three (3) entries into the Contest. Limit one (1) mail-in entry per day. Mailed entries must be post-marked by September 14, 2016 and received by September 21, 2016. A random drawing for the Prizes will be held at 10:00 a.m. on October 19, 2016 in Oakville, Ontario from among all eligible entries received during the Contest Period, by a judging organization whose decisions will be final and binding. From 8 August to 31 December 2016, you can earn 5X Asia Miles for stays at any participating hotels and resorts within the Hilton Portfolio in Greater China, 4X Asia Miles in the Asia Pacific and 3X Asia Miles elsewhere. This is a great offer, if you have travel plan in Asia Pacific, especially China by end of this year. In addition, you can get complimentary breakfast and upgrade to a Harbour View room when you stay at Conrad Hong Kong. You can earn another 2X Asia Miles for round trip flights between Mainland China (excluding Guangzhou) and Hong Kong when you register and fly on Cathay Pacific or Dragonair between now and 8 November 2016. What’s more, sign up as a new Asia Miles member and earn 500 bonus Asia Miles on your first eligible stay at hotels and resorts within the Hilton Portfolio now until 8 November 2016. From now until August 11, you can save 10% on iTunes Codes valued at $50 and $100, when you buy them from Paypal digital gift store. Note: Valid only on purchases made in Canada from the Canadian iTunes Store. Use requires an active iTunes account & prior acceptance of license & usage terms. Not redeemable for cash, for resale, for shipments outside of Canada, & no refunds or exchanges (except as required by law). Offer may not be combined with other coupons or discounts. American Express AeroplanPlus Platinum Card ($499 annual fee): New American Express AeroplanPlus Platinum Cardmembers can earn 50,000 Welcome Bonus Aeroplan miles after you spend $1,000 in your first three months of Cardmembership. American Express AeroplanPlus Reserve Card ($899 annual fee): New American Express AeroplanPlus Reserve Cardmembers can earn 60,000 Welcome Bonus Aeroplan miles after you spend $3,000 in your first three months of Cardmembership. You can earn 5X Aeroplan miles per $1 spent, when you shop at over 100 online retailers via the Aeroplan eStore before Aug 14, 2016. Please see the website for details. You can get $20 off your online purchase (BestBuy.ca) of $100 or more when you use Visa Checkout to pay for your order. This promotion runs until August 31, 2016 or for the first 30,000 discounts, whichever comes first. Something big from AmEx. Register and use your AmEx card before Aug 31, and you may win a 2017 VOLKSWAGEN TOUAREG! Online registration is required. There is no limit to the number of entries you can receive during the contest period when you use your enrolled Card. One (1) entry will be awarded for each purchase charged to your enrolled Card at a participating merchant. So the more times you spend, the more chances you'll have to win the car. American Express Corporate Cards and American Express Gift Cards are excluded from registering in this Registered Card contest. 3.6L FSI 280HP, 8-speed automatic with Tiptronic 4MOTION vehicle with R line package (#7P6808). The ARV of the Prize is $67,000.00 (the “Prize”). Participating Merchant Locations include: Centex Petro, EasyPark, Fas Gas, Federated Co-op, Flying J, Food Basics, Healthy Planet, Highland Farms, Metro, Petro Canada, Pioneer Gas, Pusateri’s, Shell Canada, Super C, Ultramar and Whole Foods Markets. You can earn 3X Aeroplan miles for every dollar spent on Costco.ca by Aug 16, 2016. Aeroplan Miles are credited on the purchase price of products offered online at Costco.ca and will not include shipping and handling, tax or other additional charges. 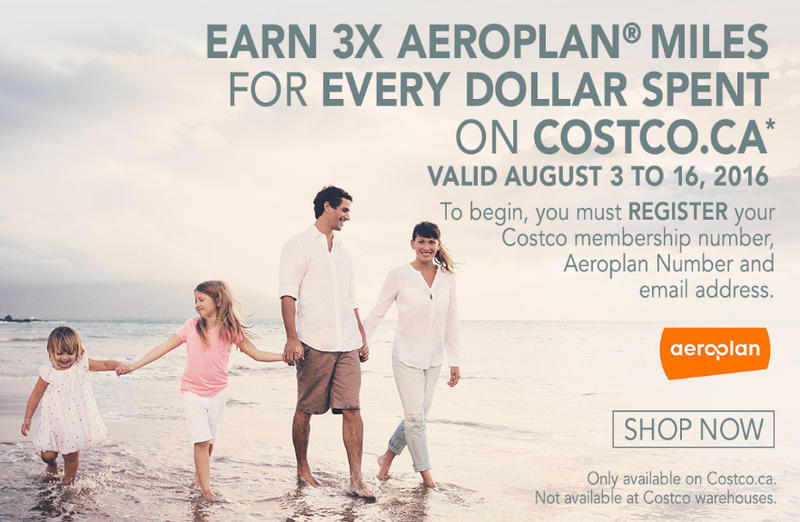 To receive Aeroplan Miles, you must register an accurate Costco membership number, Aeroplan Number and email address in the designated boxes on the registration page. Note: Ineligible purchases include: new Costco memberships (which are eligible to receive 1,000 Bonus Aeroplan Miles for a new Gold Star or Business Membership and 1,500 Bonus Aeroplan Miles for a new Executive Membership), Costco membership renewals, gift of membership, tires, Costco Cash Cards, custom installation services, travel and online digital print orders. Aeroplan Miles will not be awarded on cancelled or returned orders. Aeroplan Miles will be credited to your account 6 to 8 weeks after the shipping. Upon approval of the MBNA Rewards MasterCard or MBNA Platinum Plus MasterCard Credit Card through RateSupermarket.ca, you could get a FREE $100 gift card. 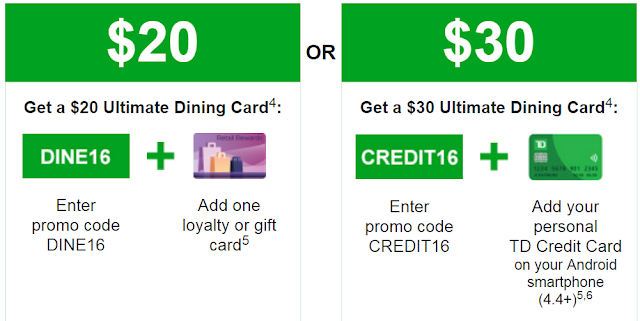 You can choose your gift card from Amazon.ca, Starbucks, BestBuy and Ultimate Dining. Note: MBNA Rewards WEMC is not included in this offer. Tangerine & PC Financial: Apple Pay is here! Now, you can add Tangerine Money-back and PC Financial MasterCard in Apple Pay. Note: you need download the latest app update, 2.0.2, which is available now in the app store in order to validate the card. Otherwise, it may not work. Starting Oct 6, 2016, UA will make some changes on their awards flight booking program. 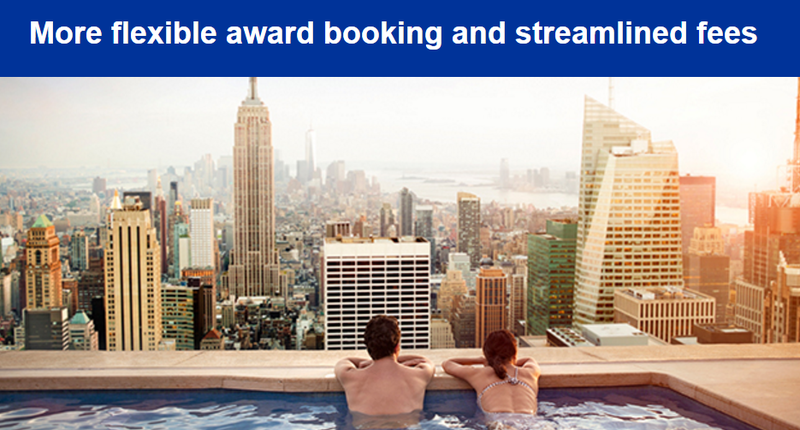 All awards will be priced on a one-way basis, and two or more one-way awards can be combined to form roundtrip or multi-city itineraries. UA will also introduce the Excursionist Perk and discontinue the current stopover policy and Round the World awards on October 6, 2016. How is the new Excursionist Perk different from the current stopover policy? The Excursionist Perk is not defined by time, while the stopover policy is. For international itineraries, a break in the journey over 24 hours is considered a stopover; for domestic, the break must be over four hours. Additionally, the stopover policy is based on fare rules with region and routing restrictions that some customers found confusing. UA will also introduce new and enhanced multi-city booking capabilities, which will allow members to easily customize itineraries with multiple breaks on united.com. UA provides some examples on the Excursionist Perk on their website as well. So, only Scotiabank Visa and AmEx (no MasterCard). 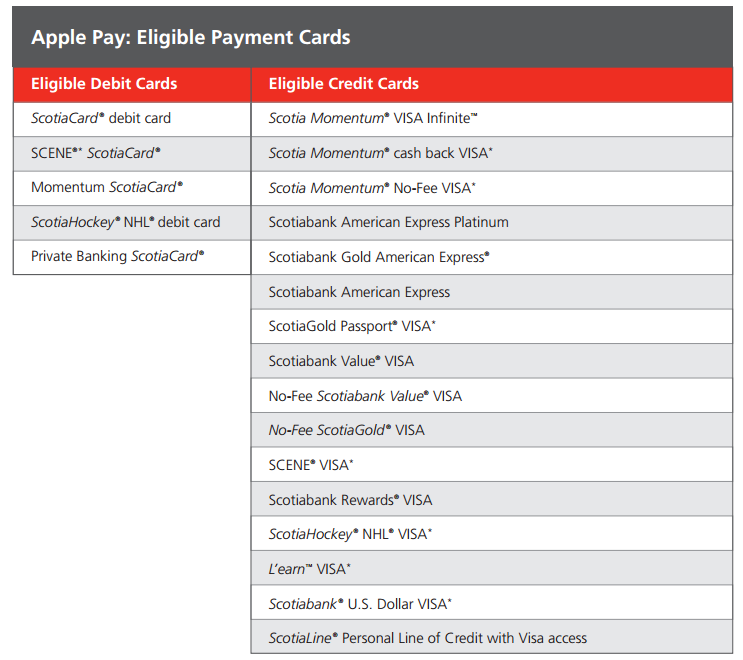 And the Scotiabank GM Visa (Infinite) cards are not included. You can earn 20% bonus miles when you convert your SPG points to American Airlines AAdvantage miles before September 14, 2016. 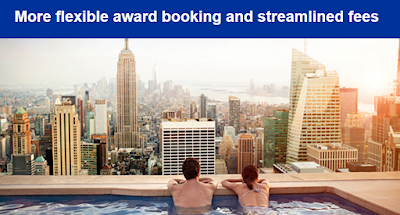 Plus, if you convert 20,000 points in one transaction, SPG automatically adds a 5,000 bonus. Club Carlson is offering a Work Hard, Play Hard promotion. From August 1 through October 31, 2016, you can earn Double Gold Points on weekdays or Triple Gold Points on weekends.